Jedi Mouseketeer: Disney, Fulfilling the dreams of 1,800 little girls! Disney, Fulfilling the dreams of 1,800 little girls! 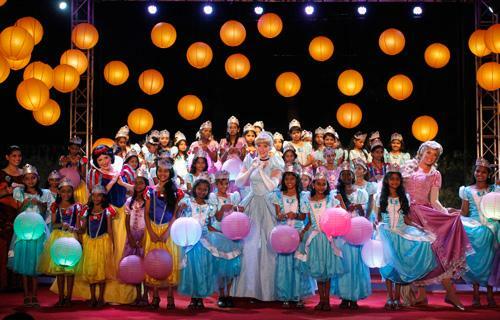 Disney India Presents Princess Experiences during Festival of Lights — For the first time, during the festive season of Diwali, the Disney Princess Academy toured India Disney India Presents Princess Experiences during Festival of Lights — For the first time, during the festive season of Diwali, the Disney Princess Academy toured India fulfilling the dreams of 1,800 little girls. The academy offered the girls a chance to: meet with Snow White, Cinderella and Rapunzel have magical princess makeover sessions; and learn ballroom dancing, etiquette training and tiara making. Roshini Bakshi, Managing Director of Licensing and Retail for Disney India, shares, “It is the love of our fans that has made Disney Princesses the #1 franchise for young girls across India. 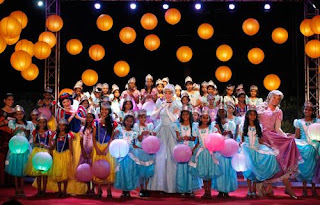 We are thrilled to bring the magical and enchanting experiences of Disney Princesses and their stories alive through Princess Academy.”. The academy offered the girls a chance to: meet with Snow White, Cinderella and Rapunzel have magical princess makeover sessions; and learn ballroom dancing, etiquette training and tiara making.